New campsite photos for some nice Lee Vining area campgrounds. We’ve recently added campsite photos for three Lee Vining area campgrounds including Moraine, Aspen, and Big Bend. 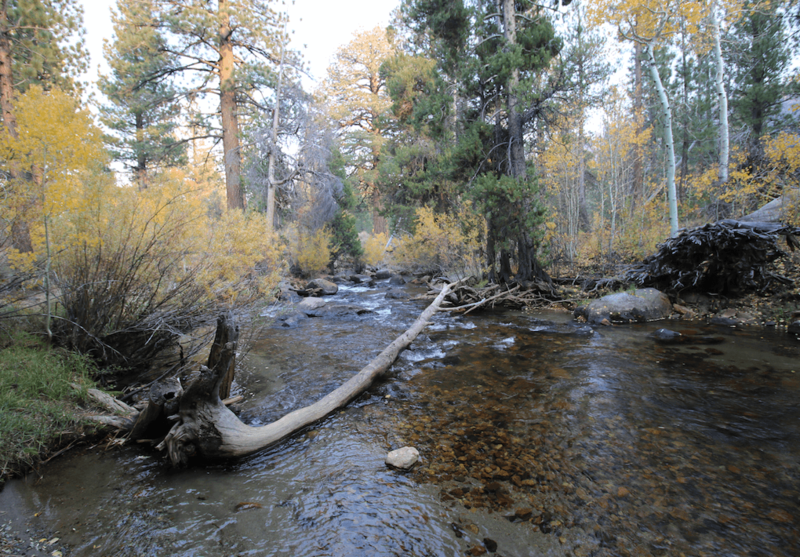 All of the campgrounds are on Lee Vining Creek and are very popular fishing spots.. In addition to camping and fishing, you’ll find a variety of outdoor recreation activities that include: hiking, horseback riding, hunting, and nature viewing. All three campgrounds are relatively close to the town of Lee Vining and about 13-15 miles from Yosemite National Park (Tuolumne Meadows). 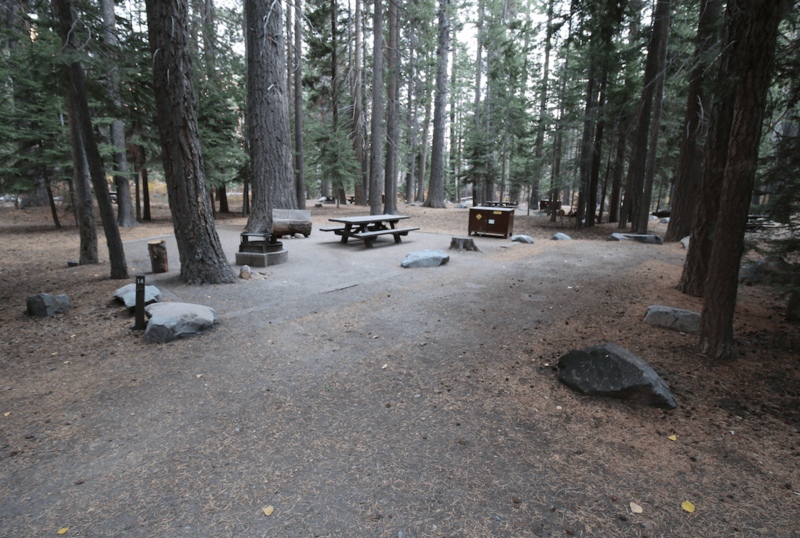 Moraine Campground is located on the banks of Lee Vining Creek in the Inyo National forest about 15 miles from the Tuolumne entrance of Yosemite National Park. This (first-come, first-serve) campground sits in a nice forest of Aspen and pine trees and has 25 campsites of decent size. Most of the campsites can fit a small RV or trailer. A few are tent only campsites. 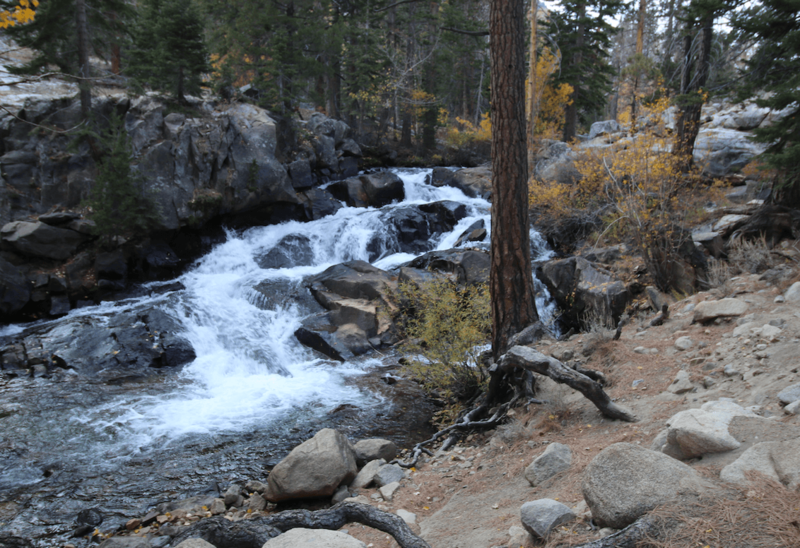 Aspen Grove Campground is also along Lee Vining Creek and is located just outside the eastern board of Yosemite National Park. The campground has 56 sites which can accommodate tents, RVs, and trailers. 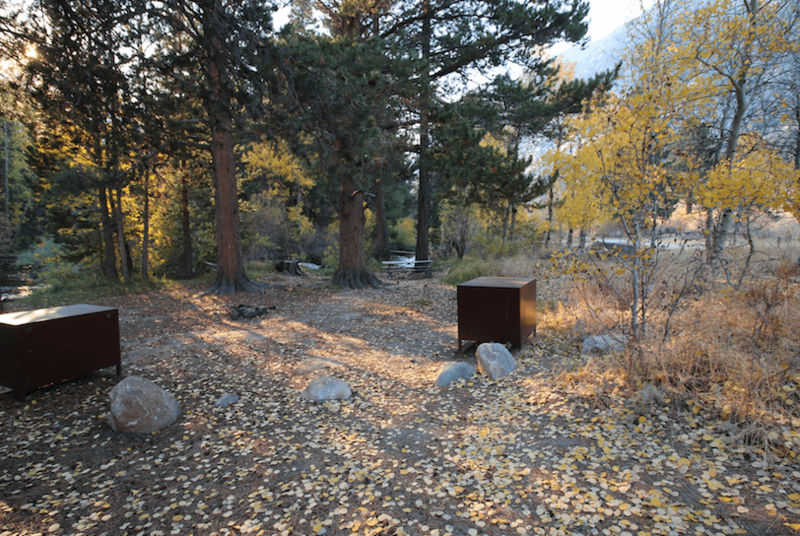 All campsites have a food storage locker, table, fire ring and grate. The campground has drinking water and vault toilets. There are no reservations available; sites are first come, first served. Aspen Grove Campground season includes late April through mid-October. Big Bend Campground is by the Tuolumne Meadows entrance of Yosemite National Park. The campground offers 17 campsites that are suitable for tent, RVs, and trailers. 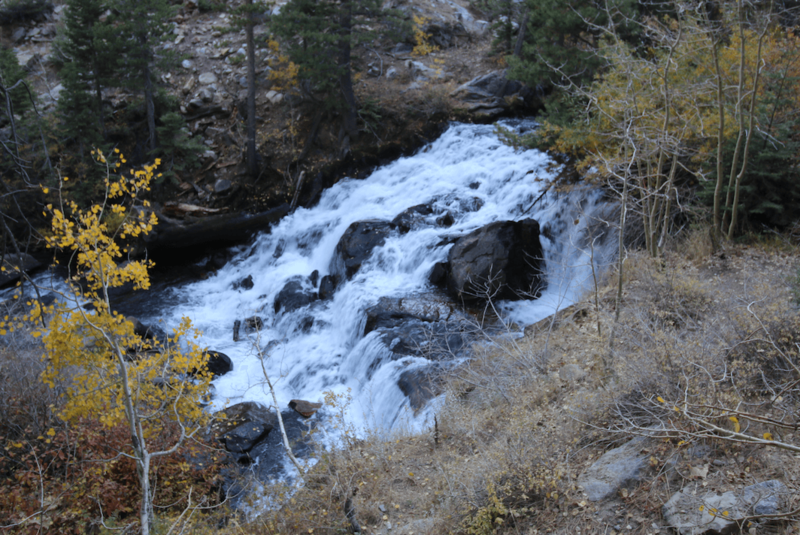 Big Bend campsites are right along Lee Vining Creek. 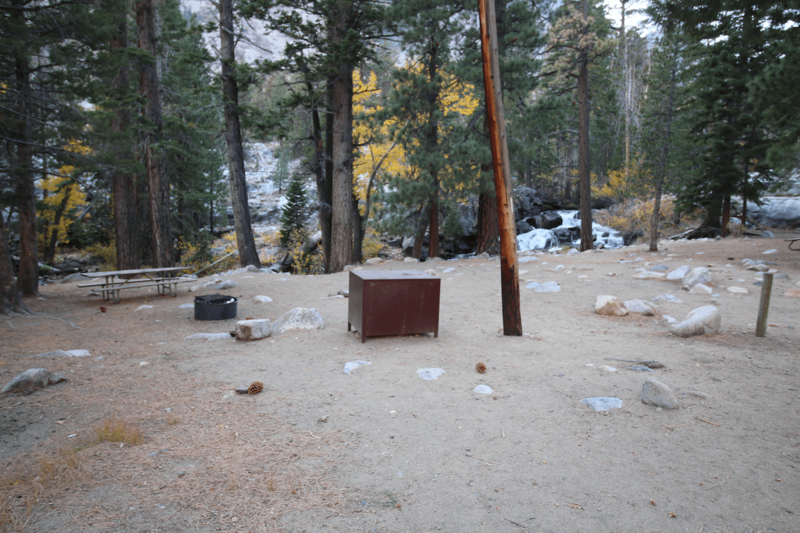 Each campsite has bear/food storage locker, table, fire ring and grate. The campground has vault toilets and drinking water. There are no reservations available; sites are first come, first served. Season includes late April through mid-October.